It is certainly no secret that OpenSUSE released their SUSE Linux 10.1 Final yesterday. The news was carried on about every computer news site in existence. It was big news and just about everyone was excited. I'd like to know how many downloads have actually occurred. The site had to be minimized early in the morning and downloads from all the mirrors I tried moved like molasses. I'm not sure, but it seems this release has generated even more interest than the landmark 10.0 last October. Perhaps I can understand that, given that this release has some exciting new features. I would speculate that on the top of many people's list is the inclusion of the XGL desktop. We at tuxmachines have tried to keep you abreast of the changes coming forth from the SUSE team, but the final was even better than we dared to predict. This is our final report on the development cycle of 10.1. As stated the mirrors were crawling along yesterday as I pulled in my isos. Fortunately I had retained my RC3 isos and only required the deltaisos. This was a smart move or else I'd still be downloading instead of writing my findings right now. Once they were finished, I booted my RC3 install and applied the delta isos to RC3 and all 5 GM final isos were made without errors. I saw several files fly by in the konsole being copied verbatim, but most had some new files to incorporate. When they finished, I mounted each one by one as loop and copied the files to a directory in hopes of a hard drive install. We weren't able to complete a hard drive install last release candidate and were still a bit leary with the final. I burnt my boot iso and asked it to install from a hard drive directory. This time there were no problems. Suse 10.1 brings all kinds of new and exciting features. The excitement starts building from the very first boot screen. This release sports nice a new boot screen and silent splash. If you've not read my earlier reports, the boot splashes are now a new beautiful blue backgrounds similar to all the "wave" wallpapers that were so popular not so long ago. This new theme runs throughout all of suse this release. This is a major improvement in terms of eyecandy. Not only is it beautiful, but it is also very polished and professional looking. This desktop could fit in very well in any office situation - home or business. The installation begins with the above new boot screens. From there it is almost the same familiar installer we encountered last release. It probes for your mouse right off the bat and then asks for your preferred language. Afterwhich one must accept the license agreement to proceed. If you choose to accept, some hardware detection may occur before you are asked for the Installation Mode: New, Upgrade, or other (repair or boot). I chose New, so at that point I was asked if I had any Add-on products to use. Upon ticking the checkbox and clicking next, I was presented with a screen to set it up. Click add and browse to its location is all that's required and we will come to find our add-on iso in the package selection later. After accepting another license for the non-oss applications, we move on to Timezone and Hardware Clock settings. After this comes our primary desktop selection: KDE, Gnome, or other (minimal or text). Just pick your favorite of the 4 here because you can still add any others you wish at package selection. The next screen is the most fun as it is your Installation Settings. Here one can use the Overview or Expert screens for configuration and I suggest the expert for all. You don't have to adjust any of the default settings, but it gives you a chance to review them. Should you wish a change, just click on the heading that functions like a hyperlink to the actual configuration screen for that portion. These screenshots are merely representational and not particularly accurate as they were taken from an emulator. The actual installer will propose a partition scheme, a basic software set, as well as bootloader settings. You can accept the proposals or customize any setting as you like. Software is another area that you may wish to give some extra attention. SUSE has a wealth of software from which to choose. The default proposal is limited. 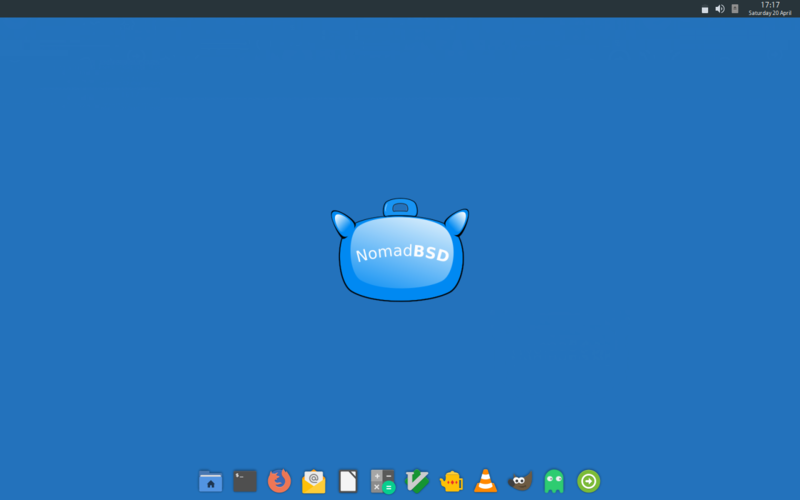 I don't usually spend much time perusing the individual packages, instead opting for choosing the main category such as All of KDE, Gnome System, or Kernel Development. If you wish to choose from all the individual packages, just click the Details button and they magically appear. If you setup the addon non-oss packages earlier, they will appear here for selection. They contain many interesting and useful apps such as flash, java, antivir, acroread, Opera, Realplayer, textmaker and proprietary drivers. More on this later. Once you are sure you have all the settings as you like, click finish and the actual installation begins. The base system and many packages usually found on the first CD (iso) are installed before the system reboots. Then one boots the actually SUSE system to finish the installation. After all the packages are installed, you have a few more questions to answer to further customize your setup. The first of these is your machine's Hostname. This is now a convenient step all its own instead of having to dig around the network setup to find it. Then you setup your root password. Next comes the network setup. This can be as simple or entailed as you need. I simply let the default ride here as dhcp is my method of connection and the hardware detection always correctly identifies my ethernet card, but you may with to setup a static ip or customize nameservers, routing and proxy. After this step one can test their internet connection and mine went just fine taking only a few seconds to report back "success." Next comes the Online Update Configuration. This step has caused a bit of controversy in that it can send back some information to Novell on your system hardware. This is for the reported purposes of better identifying the updates a particular machine might require. Many details are optional, but it at least needs your architecture in order to properly assign an update mirror and directory to download the correct patches. At this point in the game you can choose to Configure Now or Configure Later. Then you will have a choice as to which information category to send. These are Hardware Profile, Optional Information and Registration Code (if you have one). If you click on Details you will be given the exact hardware information it sends back home. Then you can Run the Update or Skip. I ran it here and it had some patches available already. I tested the Online Update with a patch for Opera which went well. No problems were encountered. Just about finished now, one is asked to setup an user account before some configuration files are written. After the conf is finished the Release Notes appear for review. Please read through these as they contain some interesting and possibly necessary information. For example this time they include an explanation of the Online Update and the information sent in (such as the output of uname and hwinfo), a description and some tips for AppArmor, and some notes on Zenworks, ATI drivers, and mysql 5.0. All that's left is one last hardware detection. After it detects all your hardware again, it is presented in a Hareware Configuration screen with hyperlinks very much like the Installation Settings screen. Here again, you can accept the proposal or click any heading to edit. Once again SUSE will write some configuration files, but that's it. It's finished. It will take you on to the system, and if you didn't uncheck autologin/autostart X, your desktop. SUSE has the best installer in the biz. It is very polished and smooth functioning. It offers the user a point by point choice of ease or complexity. No other installer is as easy to use yet so complete. At this point, one should be directed to their newly installed SUSE system. Submitted by srlinuxx on Saturday 13th of May 2006 07:04:14 PM. I just read a report that stated some wireless devices are also broken in 10.1 due to the removal of proprietary drivers. The end-user will now need to supply such drivers themselves, which aren't exactly newbie friendly. Submitted by kehca on Tuesday 1st of August 2006 07:03:12 PM. I've got cedega running and games installed with it. Try adding a line in fstab to mount your cd/dvd device (look at http://www.gentoo.org/doc/en/handbook/handbook-amd64.xml?part=1&chap=8 this is the same regardless of gentoo or amd64). Then just have SuSE ignore disks when you put them into the drive. Cedega's mount function will then work. Note the common mistake that users have not mkdir'ed the mount directory that is listed in fstab. If you've got an Atheos based wireless card, or any other card as listed by madwifi.org, then get the SuSE 10.1 specific driver rpms and source rpms from http://madwifi.org/suse/. Submitted by gfranken on Wednesday 17th of May 2006 08:03:57 PM. I'm in process of installing 10.1 on a student workstation in the Computer Science lab at the high school where I teach. Main High School Servers are Novell Netware, so, as a workstation client, I'll be checking OpenSuse's netware connectivity. Later, I'll be testing OpenSuse as a Local classroom server. Will report back after I work through this process. Submitted by srlinuxx on Wednesday 17th of May 2006 09:11:35 PM. Thanks so much for saying. I wondered, as nobody linked to it. I'm in process of installing 10.1 ... Will report back after I work through this process. Yippee! I hope that means what I think it means.